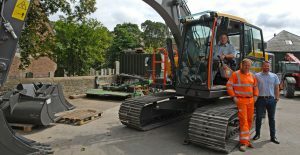 .. so says plant hirer and ground working contractor Graham J Irvine of Peebles, in the Scottish Borders, as he takes delivery of his first new Volvo EC140E excavator. The family-run business comprising Graham, his wife Sheila and eldest son Steven has been in operation since 1979 when Graham started the company. 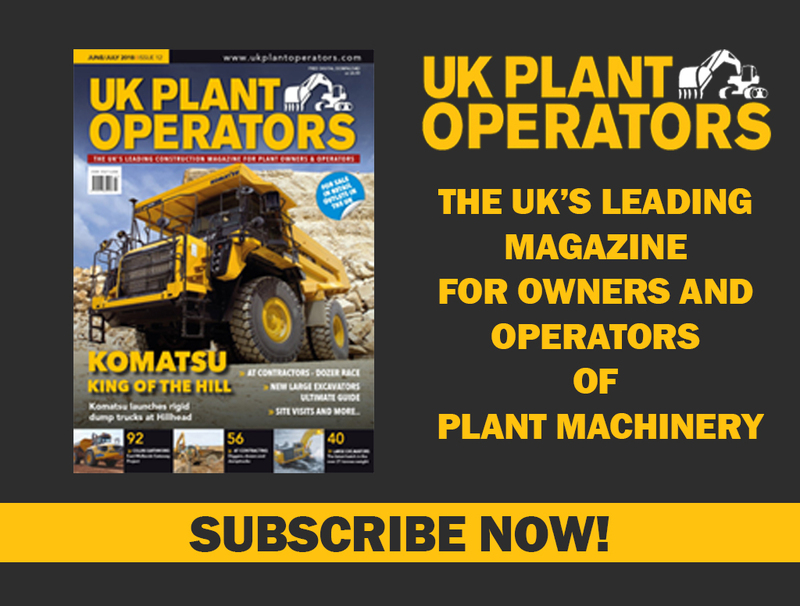 “We’ve operated a good many machines of differing brands and types over the years, but this is the first time we have opted for a Volvo excavator,” says Graham. “We always look at machine specifications in detail and the more we looked into the possibility of owning and operating a Volvo, the more we started to become confident in opting for the fourteen-tonne EC140E. This included positive third-party references, our own perception of the machine’s quality, particularly the operator’s compartment and the prospect of high residual values when its becomes time to trade,” he continues. So the decision to buy their first Volvo was taken visiting the SMT GB stand at this year’s ScotPlant event with the new machine to be deployed on all manner of agricultural contracting, ground work and civil engineering projects undertaken by Graham J Irvine in the south-east of Scotland in areas generally below the Firth of Forth. The new EC140E is powered by four-cylinder Stage-IV compliant Volvo engine developing 122 nett hp and offers the latest in engine technology and operating sophistication. For example, pump flow is controlled for combined digging and swinging operations to reduce the flow loss through the overload relief valves, whilst maintaining digging power and maximum swing torque. When Eco-mode is selected, the machine provides better fuel efficiency without loss of performance in most operating conditions. The Volvo Care Cab offers a large roomy interior with plenty of leg room and foot space. The excellent all round visibility is enhanced by pressurized and filtered cab air supplied by a 14-vent, climate control system. An adjustable, easy-to-read LCD colour monitor provides real-time information of the machine functions, important diagnostic information and a wide variety of work tool settings. The monitor also doubles as a viewer for the rear and side cameras. Graham J Irvine provides plant hire, groundworking contracts and civil engineering solutions to landowners and companies in the south-east of Scotland including Peebles, Edinburgh, Lothian and the Scottish Borders.